On Wednesday, April 3, I was feeling slightly down as dawn made its way into the eastern horizon. I often enjoy hiking and any day when I am not feeling the way I wish a hike just may increase the positives! I prepared for the day and headed to State game Lands 105. 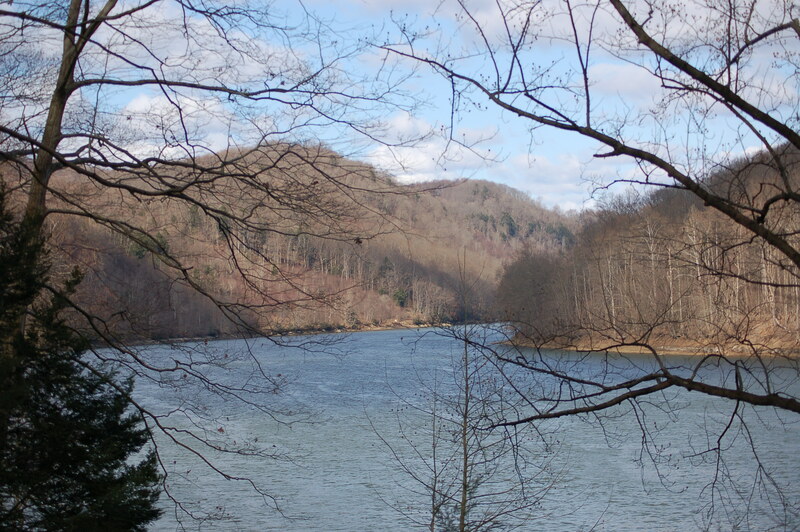 This game lands borders the Allegheny River in Armstrong County. The site has a mix of terrain. The elevations of the hills are steep in many places. The lands, also, feature long finger-ridges! The frosty morning proved to be a great morn for seeing turkeys. I saw three flocks while traveling to the game lands. (I didn’t see or hear any turkeys while hiking!) I could see one strutting longbeard as the sun’s rays caused his feathers to shine in gloss. I stopped and tried for a photo, but the limbs between him and I caused less than perfect photos. 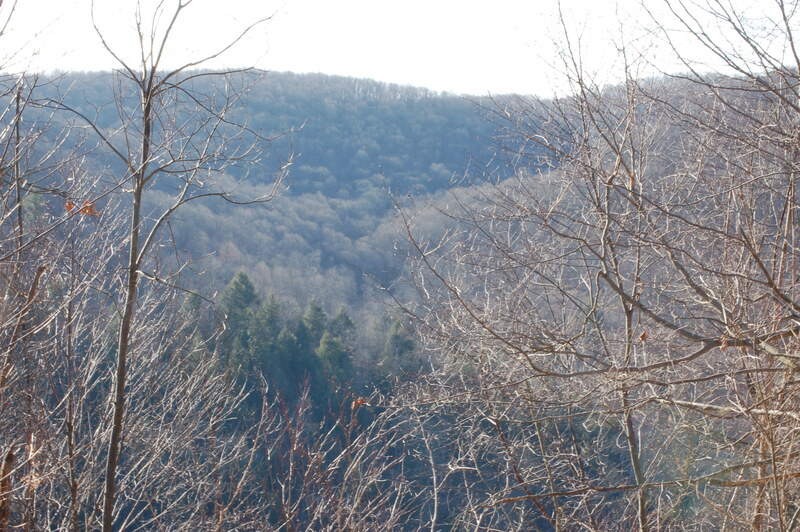 The hike finally began as I walked a game land road to a finger ridge. I walked the length of this ridge enjoying the beauty of a golden morning. I saw a few deer and some squirrels too. 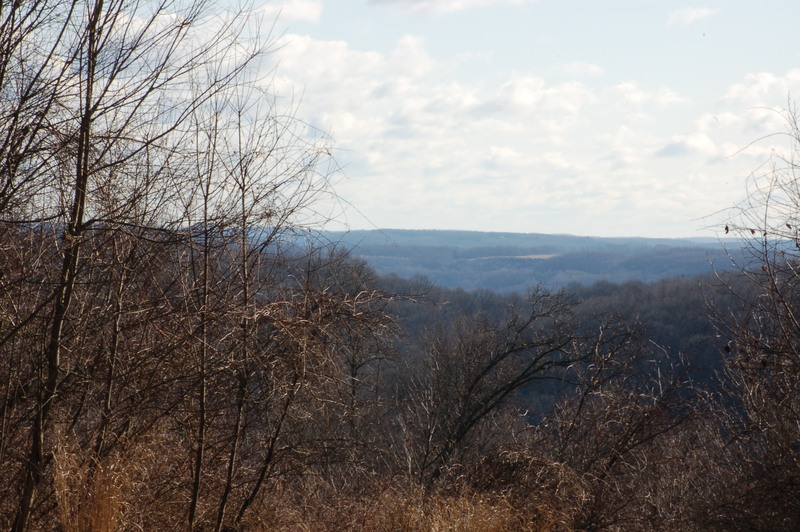 I circled around and eventually came to the rim of the hill overlooking the beautiful Allegheny River. I watched a turkey vulture soar at treetop level. The bird was turning his head as it circled over me. I believe the vulture was curious to watch me too. At one point on the hike I heard a sound that reminded me of turkey fighting purrs. I searched the open woods and could see nothing in the form of turkeys. the sound increased in volume before I realized the sound was above me. I gazed into the blue sky and could see glimpses of a large gray bird. I believe in the few seconds I observed this bird that it was a sandhill crane….a very rare bird in this area of Pennsylvania. 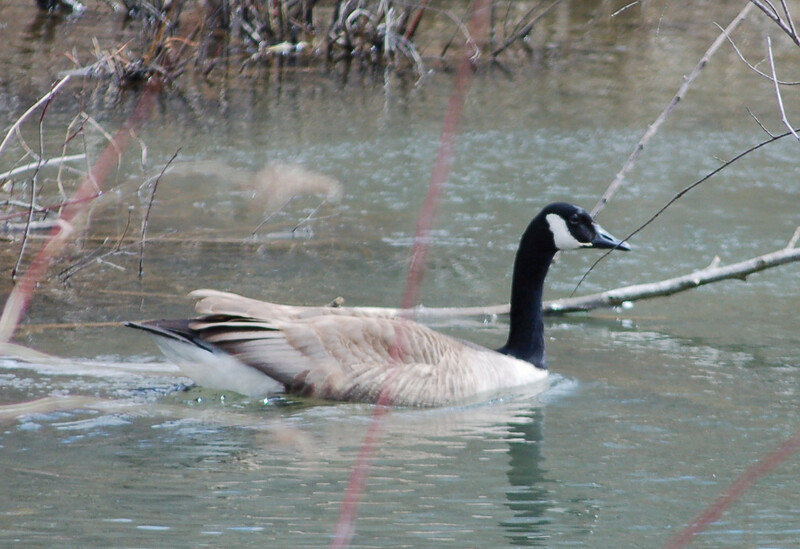 Also, I saw some Canada Geese. I exited down slope to the river for a few photos before ascending up and over towards the car. I heard one grouse flying through a clear-cut site. The hike lasted about five hours and I believe 6-7 miles from checking the scale on a topo map. Thursday morning, I visited mom and Bob and saw two stutters in a field and stopped at another site to watch some gobblers and hens. I could hear more gobbling out of site! I saw another flock of gobblers below mom’s home and six deer. Friday and Saturday, workers involved with the West Kittanning Boro spent much time trying to locate shut-off valves from the water source. Mu complaints had finally been heeded due to massive amounts of water from a suspected water line leak. My suspicions proved to be correct as the workers did their jobs. However, they met with problems as is usual. The interesting fact is that I don’t have this water source, but the problems came from a broken underground pipe that ends in my neighbor’s yard!